Try them for free! Introducing a refreshing take on multivitamins. 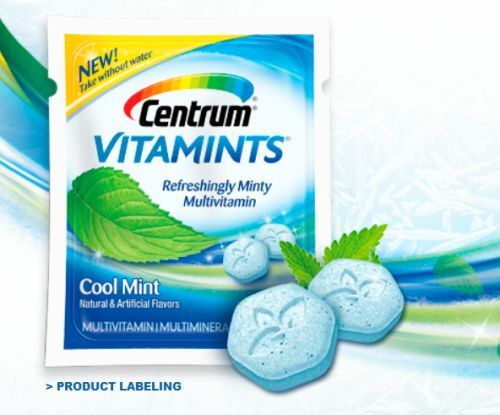 New Centrum® VitaMints® multivitamins contain essential nutrients you enjoy like a mint. Click the link below to go register for a free sample. Try them before they begin hitting store shelves this fall.